Alumni Associations allow TKE to be a Fraternity for Life. The Official Guide to a Successful Alumni Association is intended to help new Alumni Associations get started and to provide an overview of new and existing resources for established associations. TKE has thousands of living alumni members and more than 100 official Alumni Associations across TKE Nation. In this guide, you'll learn about an Alumni Association's structure, projects, events and the tools you'll need to have success. 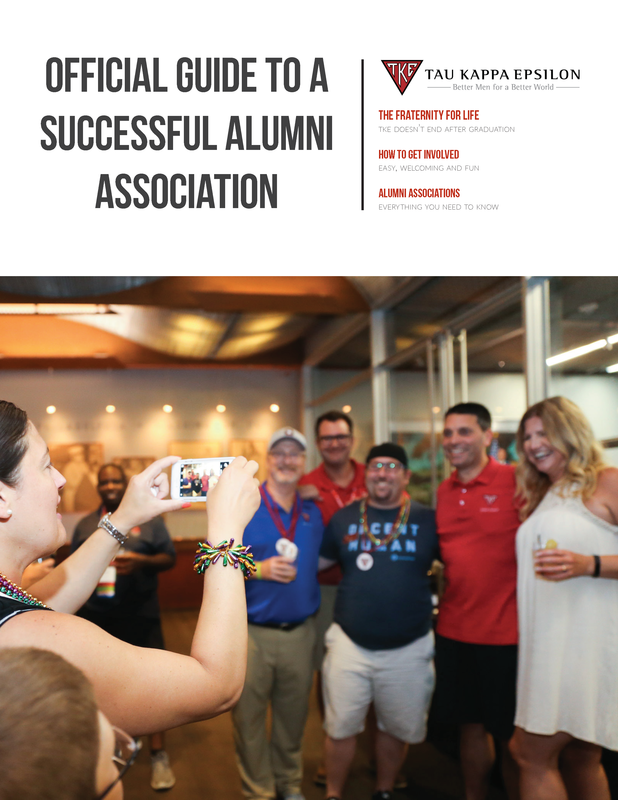 Click the image below to download our "Official Guide to a Successful Alumni Association"